Directly from the tap to your drinking glass. 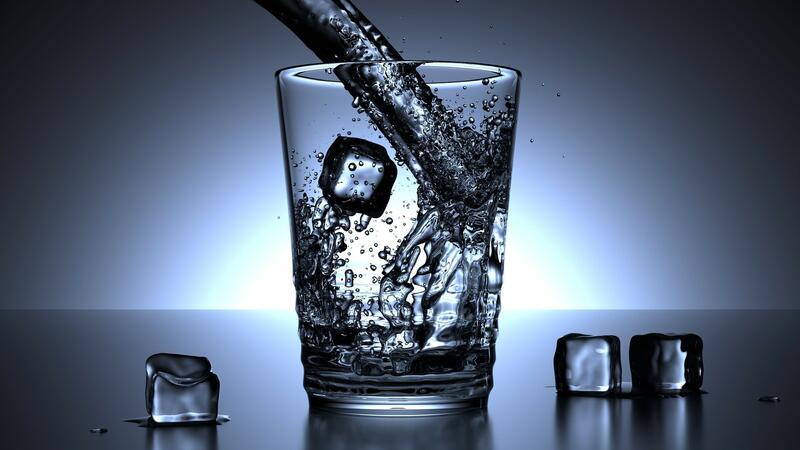 The human body is almost 70% water, so it's safe to say that water is the most important liquid for us. A reliable water dispenser not only delivers us drinking water but is also highly practical and convenient. Boiling water and freezing ice cubes is effortless with these water dispensers – you’ll barely lift a finger! Here’s our recommendation for the best water dispensers. With the Morphy Richards hot water dispenser, you can prepare any hot drink with minimal fuss. Select your desired temperature using the digital interface, and you’ll get hot water at the optimum temperature. This efficient dispenser efficiently boils the necessary amount of water only, reducing wastage. The advanced BRITA technology also filters out unwanted residue, chlorine, and limescale from your water. This Spritzer dispenser is an affordable option for accessible drinking water. It’s also the perfect addition to your room, office, or hostel dorm. Choose between hot or room temperature water with this dispenser. Plus, this lightweight dispenser takes up little space and is able to safely accommodate a 9.5-litre mineral bottle. The Yamada floor standing water dispenser provides you with clean and filtered water, so it's safe to drink directly from the pipe. From hot to room temperature to cold water, this machine delivers it instantly. You can mix a hot or cold drink within seconds without delay. Besides that, the indicator light keeps you aware of the water temperature, and it competently saves energy too. The Elba Water dispenser can cater to a large number of people at one time, which is great for family functions. With the re-boiling feature and the capacity to hold 7 litres of water, you can also make a drink in advance and serve it hot to your family and friends. In addition, the base heating application saves energy and reduces electric consumption. For those with a limited budget, the Midea Water Dispenser is an appropriate selection. This dispenser has the function to cut-off the power once the water has reached boiling temperature. In addition, it’s also completely safe, as the dispenser immediately turns off its power when water runs out. The inner casing is made of steel, which makes it resilient and high quality as well. The AMGO Midea Water Dispenser features a two-faucet design with both hot and cold water function. Equipped with a safety lock on the hot water tap, you don’t have to worry about your children getting scalded. It’s also designed with anti-bacterial material and emits low noise. Additionally, this water dispenser has a feature which prevents overheating. Place it on your kitchen counter or even on the dining table and you’re good to go! This 2-in-1 water dispenser is ideal if you love cold and iced drinks. With a built-in ice maker that can produce approximately 11kg of ice per day, you can enjoy a cold drink in this hot weather anytime at your convenience. On top of that, the push dispenser reduces cross-contamination by avoiding direct contact between tap and glass. The Yamada bottom loading water dispenser reduces the need for manpower to lift the heavy bottles. This design saves space and hides the bottle from sight. Classy looking, it easily fits into your home or office décor. It is also equipped with a compressor to cool the systems from long hours of use. Start a healthy lifestyle and promote longevity with the Panasonic Alkaline Water Ionizer. It increases the quantity of hydrogen in your water, and this dispenser is linked directly to your pipeline. This ensures cleaner and healthier water for drinking and cooking. With its high-performance filter, the Ionizer also purifies your water supply from all dangerous substances.